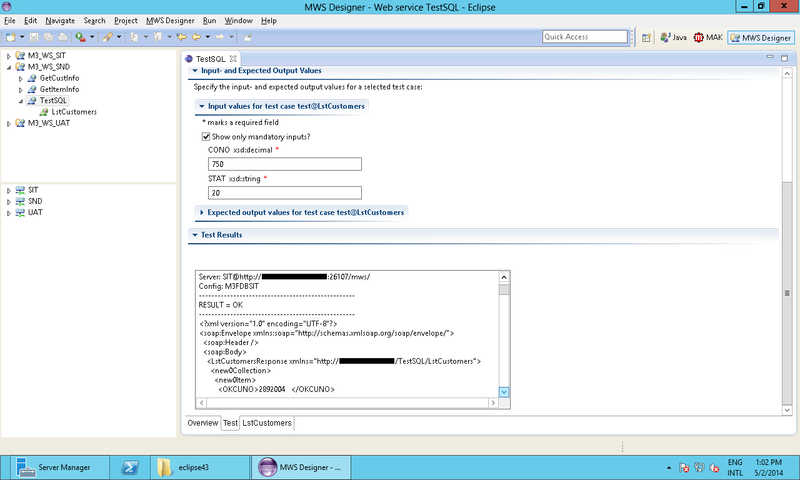 Once in a while I receive this question of how to call an M3 Web Service (MWS) with SQL adapter in a Mashup for Infor Smart Office. 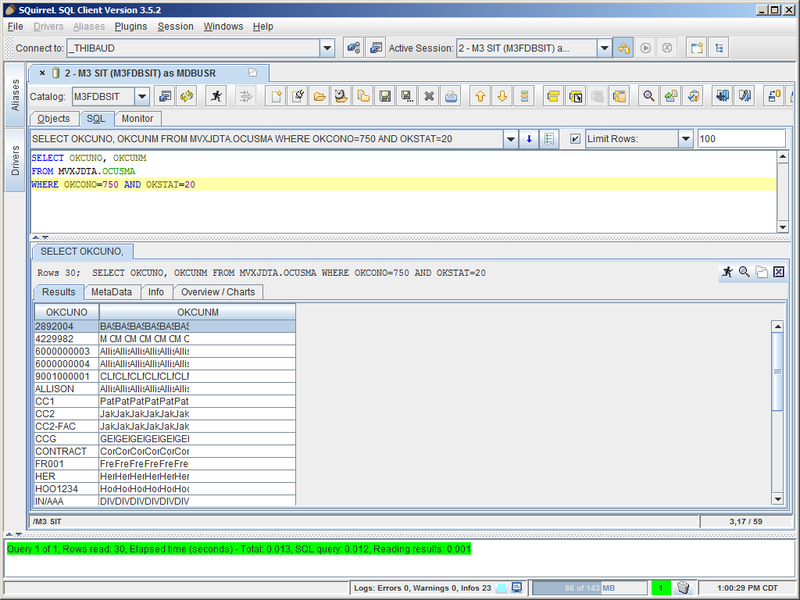 As a reminder, MWS has three adapters: M3 API, M3 Display Program (MDP), and SQL (JDBC). Each will return a different SOAP response, thus each will need a slightly specific XAML. The trick with the SQL response is the new0Collection. Hi Heiko. Yes indeed, thank you for the reminder. 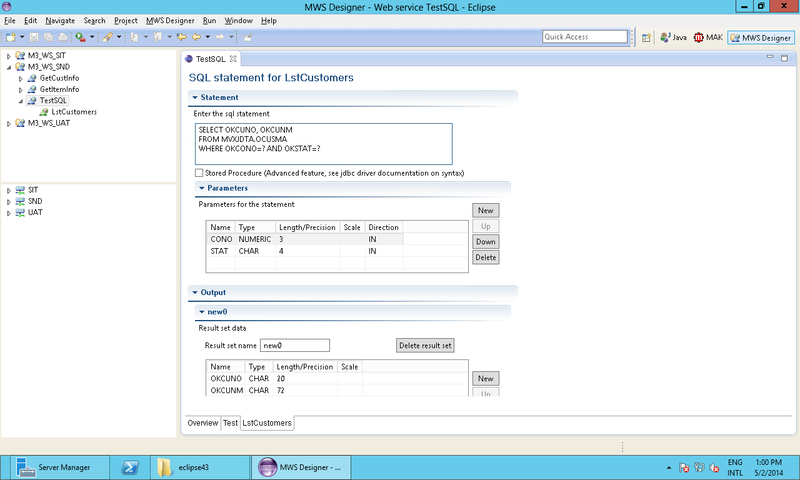 UPDATE: I didn’t copy/paste the usual disclaimer about executing SQL against M3 database: 1) executing SQL INSERT/UPDATE/DELETE will void your Infor Support warranty, 2) executing SQL SELECT will cause locking issues and will race with the SmartCache. I forgot #3. I would after Add ! Yes you can show the result in a TextBox right away, but only if the result is a single record, or if you hard-code which record, otherwise the Mashup can’t tell which of the records you want unless you select it. If you want to display right-away, without having to select a record, don’t use SelectedItem, use the direct XPath. 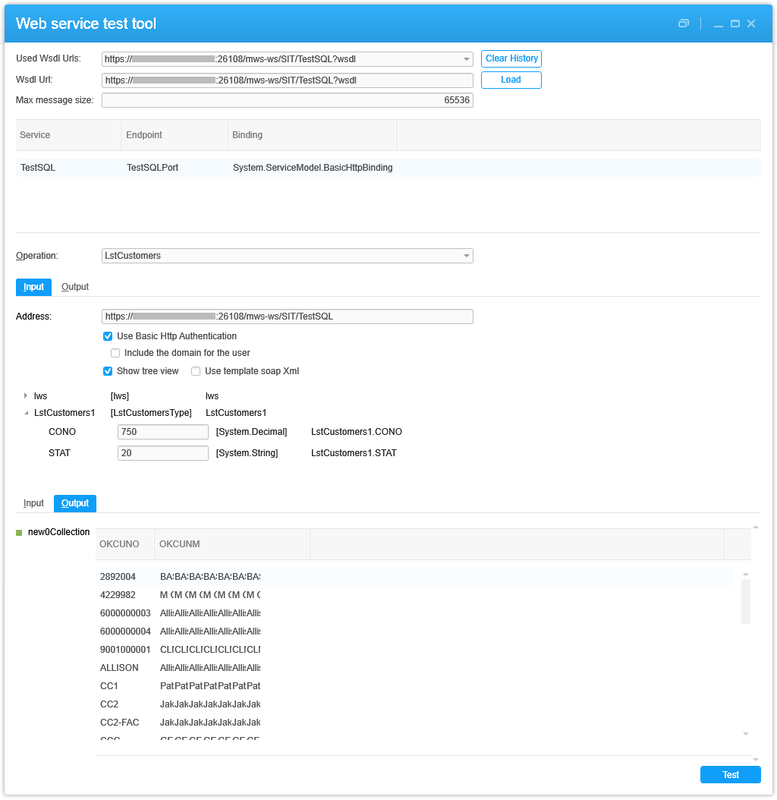 I forgot to mention the XPath is given by the Web Service test tool in Smart Office. 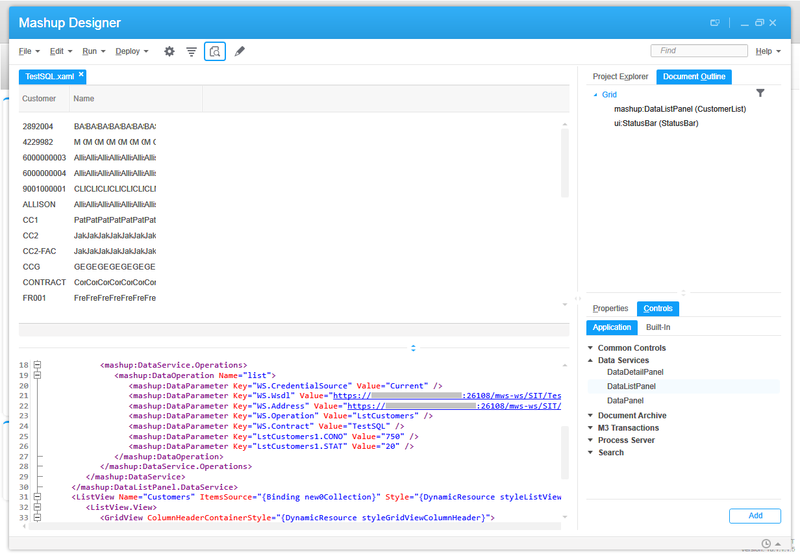 You can also determine the XPath yourself, manually or with any other tool. It’s all standard XML. Hi all. I am looking for a method of writing the results of a web service call into a custom list. I am convinced it can be done, and am sure I have done it before, but I cannot find my code. I can product the results in a list, but I am looking to use the functionalities of the custom list (standard functions/related options). Thanks. I’m using a WS SOAP generated by Talend in a mashup ISO M3. The result is a collection, when I tested the WS in SOAPUI, I got the list, but when I used it in the mashup, I got an empty list with this message as a suggestion “if this list has no data then perhaps the resulting object has public fields and no properties ListView binding workes only with properties try and set WS.outputType to DataItem”. I have tried multiple binding syntax but I couldn’t get the good result, I think that the issue is the declaration of the output as a private field and not as properties. Did you get please a similar issue or have you an idea about it.